As soon as it was launched, it won the Canadian Car of the Year award given by the Automotive Journalists Association of Canada (AJAC). When the moment comes for consumers to choose a new vehicle, they often look at the reliability of a given model, comfort, safety, fuel efficiency, performance, and interior space. Of course, the most important factors will differ from one buyer to another, but they will generally be among the criteria listed above. 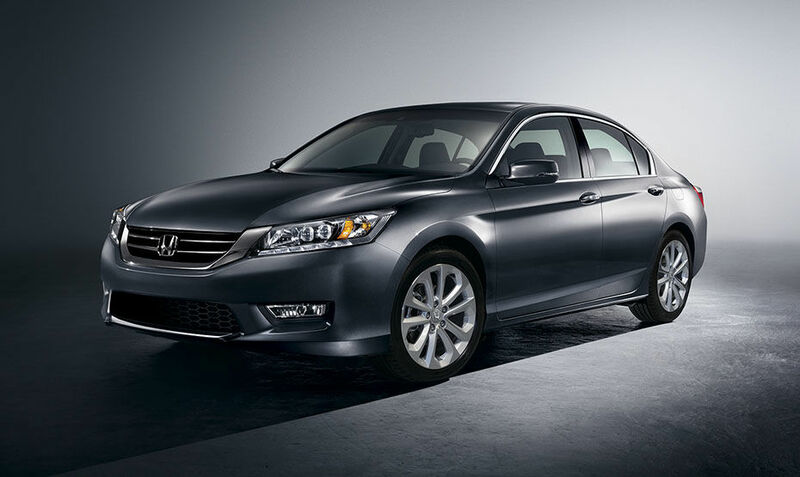 That may explain why the Honda Accord is such a popular model, especially the current generation introduced in 2013. As soon as it was launched, it won the Canadian Car of the Year award given by the Automotive Journalists Association of Canada (AJAC). In other words, it certainly didn’t waste any time getting recognized and more importantly, taking its place among its strong competition in a very popular segment. 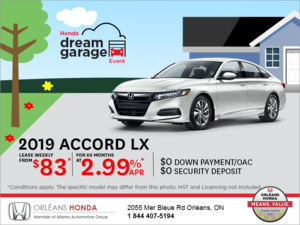 With its combination of comfort and interior space, performance and fuel-efficiency, style and versatility, and of course its legendary reliability, the Honda Accord certainly has the means to impress buyers. 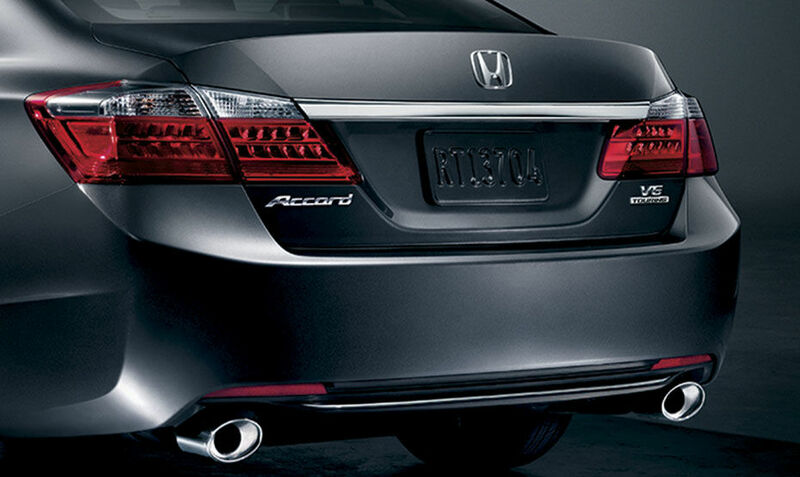 To begin, it should be noted that Honda offers a lot of versions of the Accord. 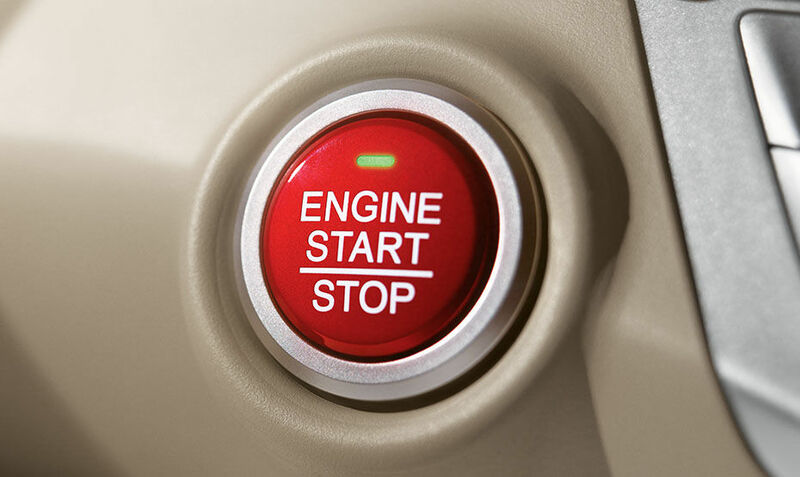 In other words, there is something for everyone in the Honda range. There is a two-door version as well as a sedan, and there are two engines that can find their way under the hood of the Japanese midsize sedan, as well as hybrid engine. 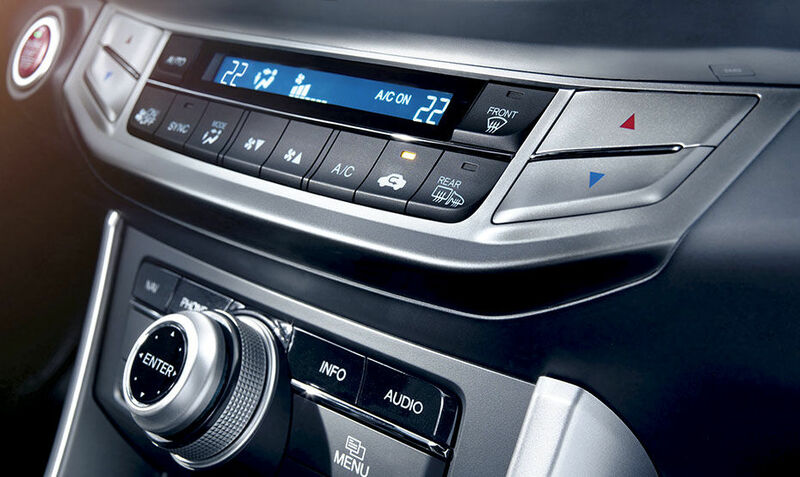 A six-speed manual gearbox is offered on some of the versions while others get a continuously variable automatic transmission (CVT). 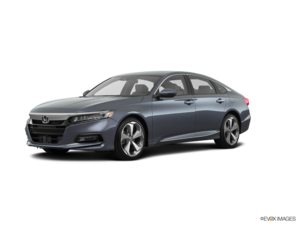 The base Honda Accord is powered by a 2.4-liter four-cylinder engine that delivers 185 hp and 181 lb-ft of torque (189 hp in the Sport model). Those that want even more performance will opt for the 3.5-liter V6 engine that offers 278 hp and 252 lb-ft of torque. As for the hybrid engine, it offers 196 hp coming from a 2.0-liter engine combined with an electric unit. 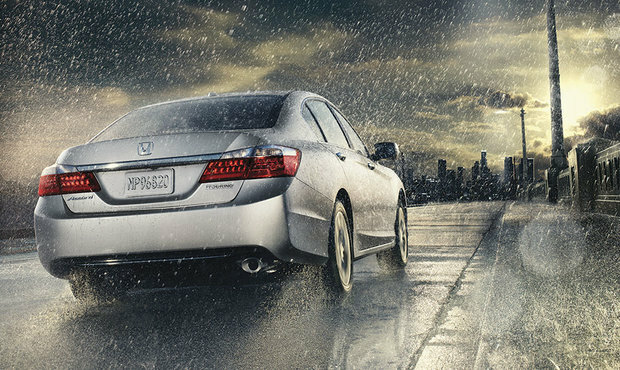 The Accord Hybrid starts at less than 30 000$ and averages less than 5.0 liters per 100 kilometers in terms of fuel economy. Even the traditional engines do very well when it comes to fuel-efficiency. Indeed, the four-cylinder averages 7.8 l/100 km with the CVT transmission while the V6’s average fuel economy is a claimed 9.1 liters per 100 kilometers. Very well-equipped from the get go, the Accord also offers plenty of luxurious features in the options catalogue including heated front and rear seats, electric seats, navigation system, many active safety systems, dual-zone climate control, a sunroof, and of course the LaneWatch blind spot system that uses a small camera beneath the rear-view mirror that displays an image of your right-side blind spot in the center display. 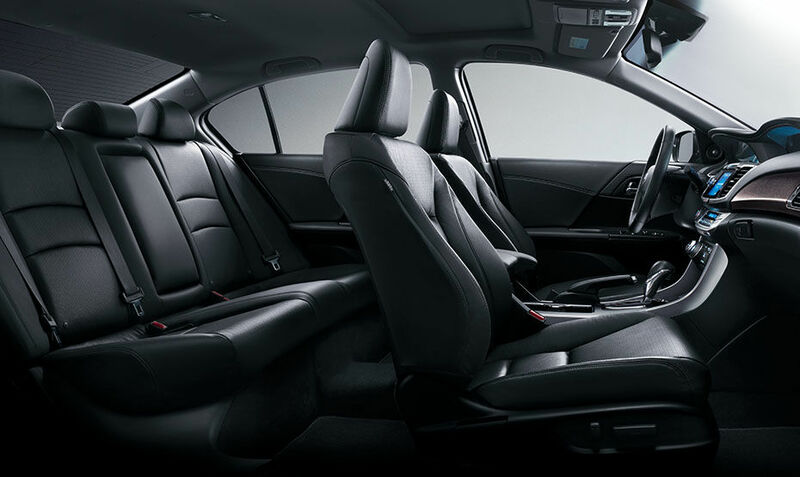 Inside, the Accord offers a very spacious interior, especially in the back where even adults will be comfortable. 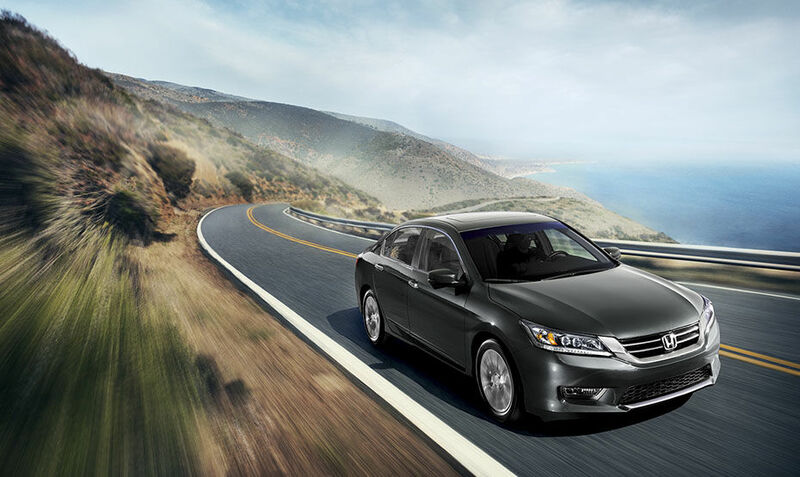 The Accord also sets itself apart thanks to its interior build and finish quality. 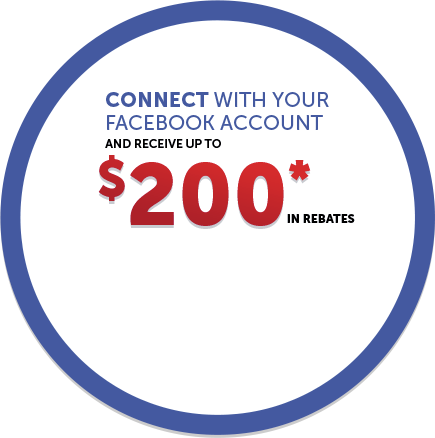 To learn more about the 2015 Honda Accord, contact us today at Orleans Honda.